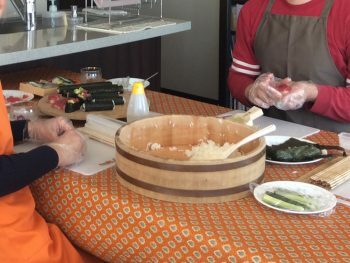 Sushi making is a fun and tasty experience, plus take home a sushi-maker souvenir for home parties! Have you thought about making sushi by yourself? It is not so difficult with appropriate instructions. Our class is instructed by a certified English-speaking guide. So, during the lesson you can ask whatever questions you have in your mind about Japan in her private house. 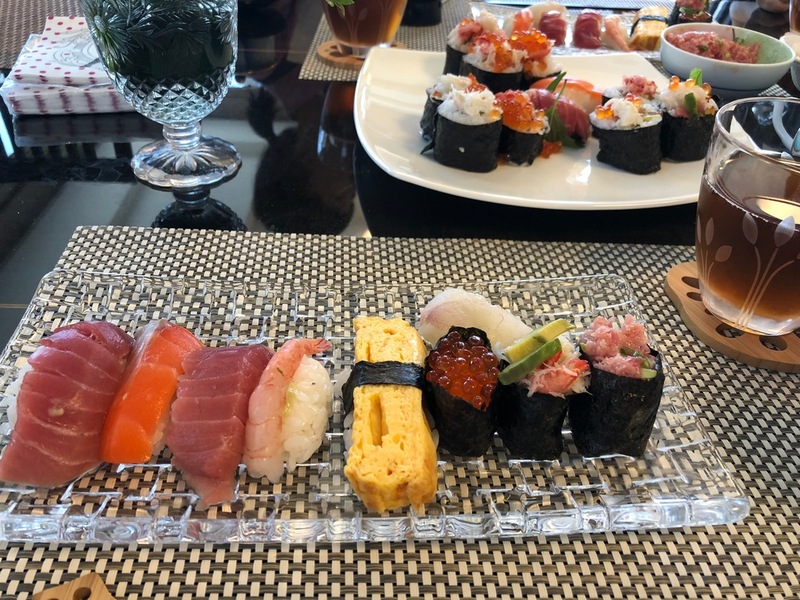 After cooking, you get to taste your own sushi with Miso soup. 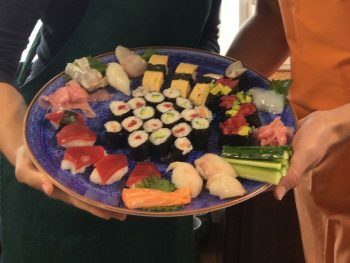 The guide instructor will give you tips on sushi making for when you throw a home party back home. 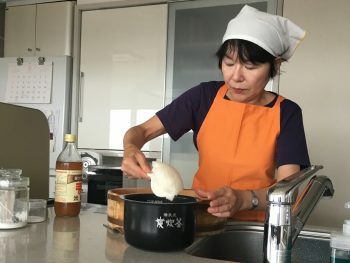 Become an excellent party host, while learning about Japan from a national certified guide, in a private Japanese home. 12:00~13:00 Enjoy your own made sushi, Sushi Party! 13:00 The Guide Host will send you to the nearest station. *Starting time is flexible, please ask. We have a few locations near Ikebukuro. Each private house is only a few minutes walk from the Metro station. If you have any food restrictions, please inform us in advance. Upon your request. Please feel free to contact. None. We can prepare vegetarian sushi as well. Lesson fee, sushi lunch and a small sushi making gift. A traveler’s round-trip transportation fee between the meeting point and your accommodation. Any drinks if you prefer. Japanese tea is included. ⟵Japanese Style Flower Lesson at Old fashion house!